BRYAN EATON/Staff photo. BRYAN EATON/Staff photo. 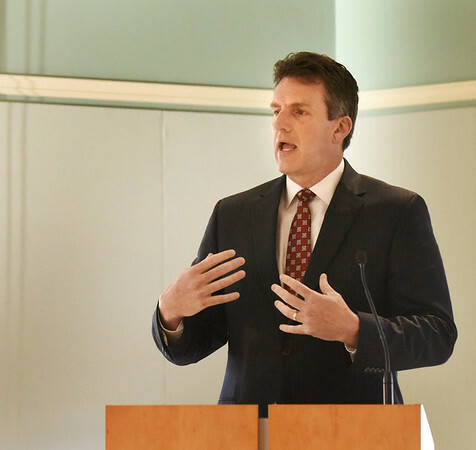 Massachusetts Economic Affairs Secretary Jay Ash was guest speaker at the Greater Newburyport Chamber of Commerce and Industry's Breakfast Forum at the Newburyport Senior Center on Friday.